Made of stainless steel and aluminium frame. Just the job for cider. Our largest stainless steel/aluminium press. 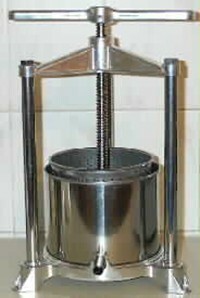 Capable of producing a gallon of juice from 20lb of apples.